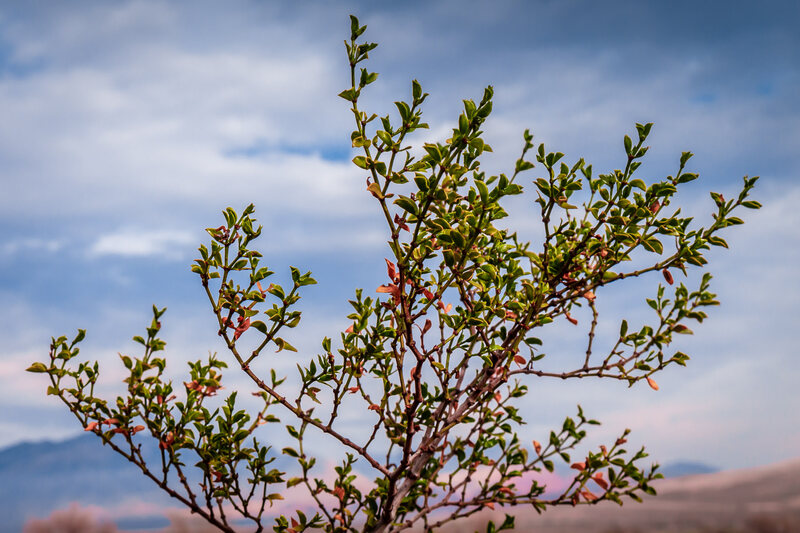 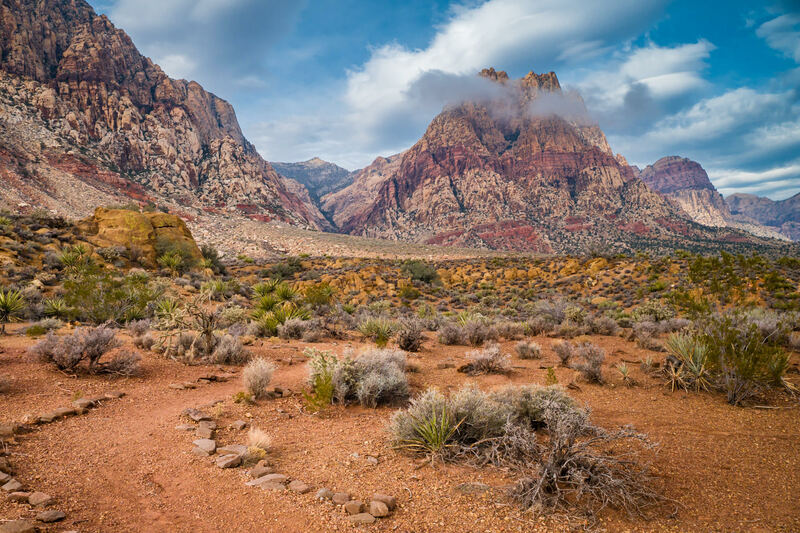 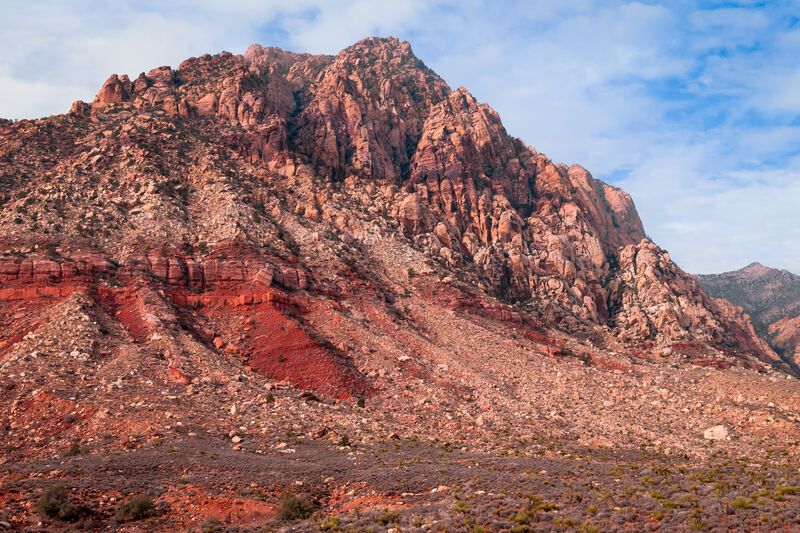 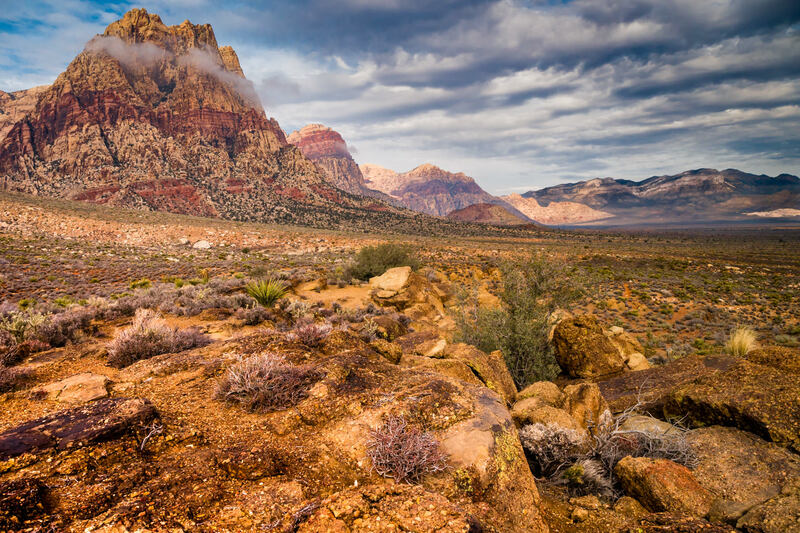 A rocky pinnacle rises into the sky in the Spring Mountains outside of Las Vegas. 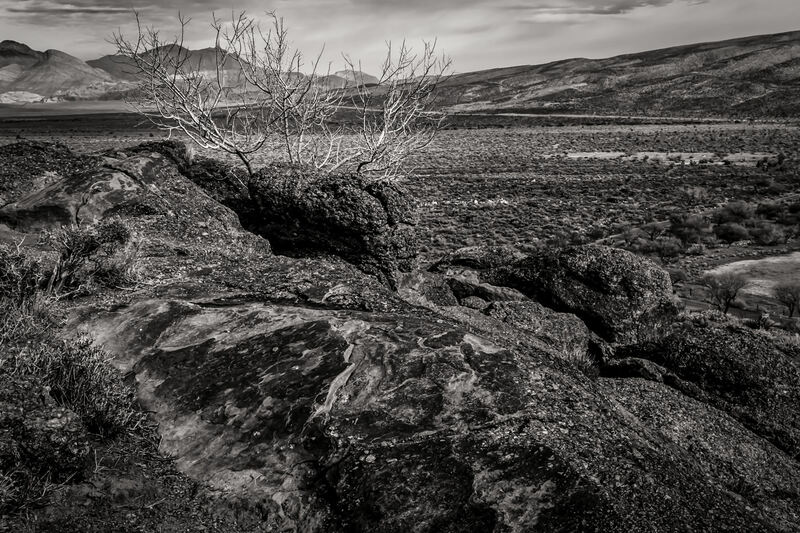 Dead branches sprout from atop a rocky ridge at Spring Mountain Ranch State Park, Nevada. 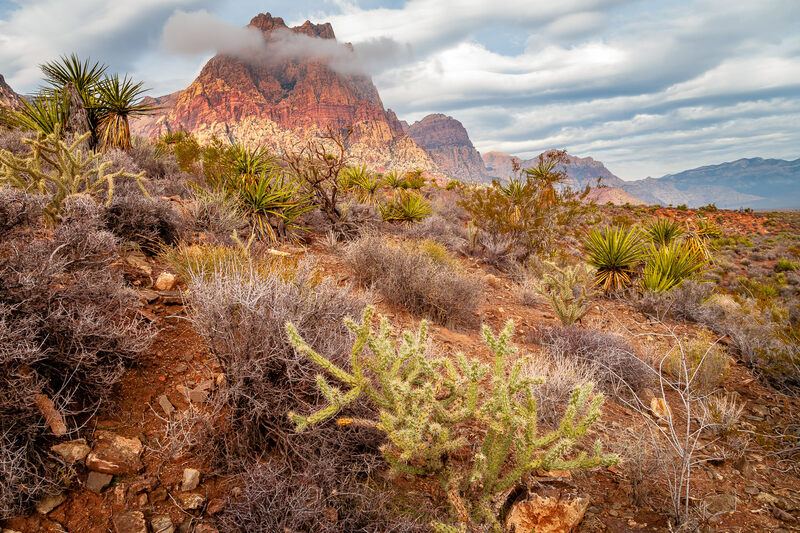 Storm clouds roll into the Spring Mountains near Las Vegas, Nevada. 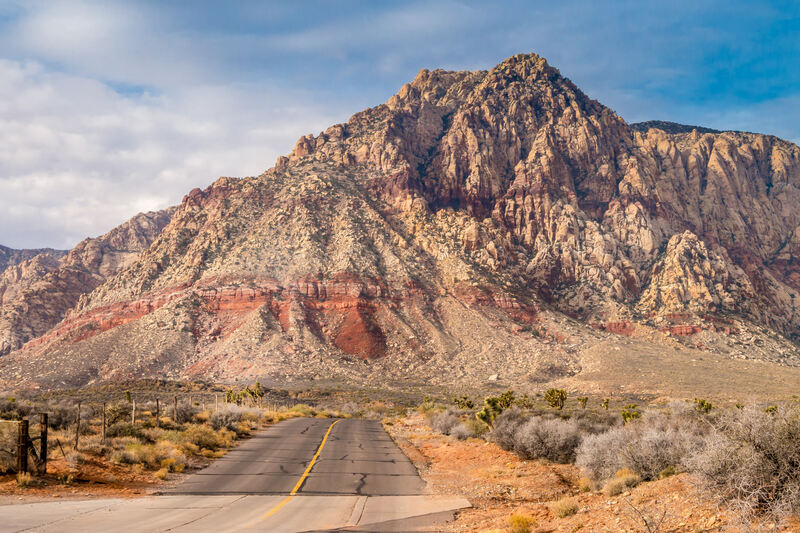 A desert road leads its way into Nevada’s Spring Mountains at Spring Mountain Ranch. 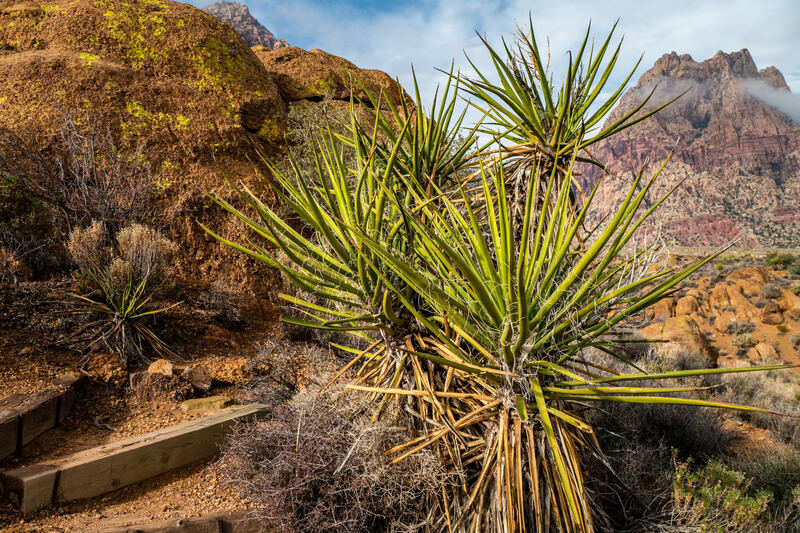 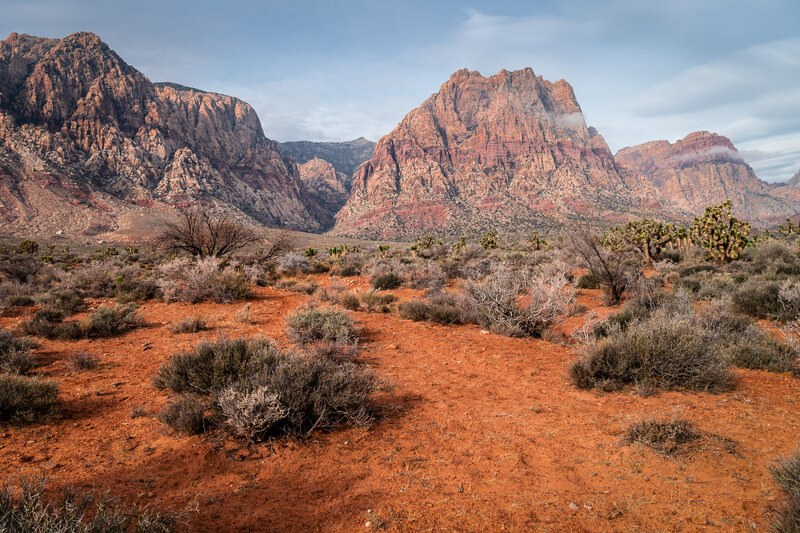 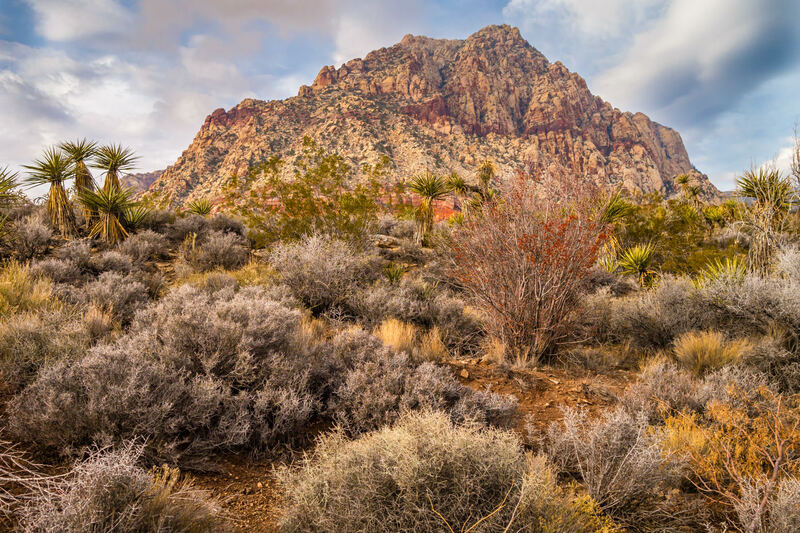 Desert brush surrounds a rocky, mountainous outcropping at Spring Mountain Ranch State Park, Nevada.